Looking for experts? Check out Toptal’s Unity or Unity3D developers. Can threads be used to modify a Texture on runtime? Can threads be used to move a GameObject on the scene? Improve this code using threads, so the 1000000 random number generation runs without spoiling performance. No. Texture and Meshes are examples of elements stored in GPU memory and Unity doesn’t allow other threads, besides the main one, to make modifications on these kinds of data. No. Fetching the Transform reference isn’t thread safe in Unity. Explain what a vertex shader is, and what a pixel shader is. Explain why deferred lighting optimizes scenes with a lot of lights and elements. Find top Unity or Unity3D developers today. Toptal can match you with the best engineers to finish your project. What are the benefits of having a visualization mode for rendering optimization, as shown on the picture bellow? The “overdrawn” mode helps the user to profile the number of pixels being rendered in the same “area”. Yellow to white areas are “hot” areas where too many pixels are being rendered. Developers can use this information to adjust their materials and make better use of the Z-Test and optimize the rendering. Explain why Time.deltaTime should be used to make things that depend on time operate correctly. Real time applications, such as games, have a variable FPS. They sometimes run at 60FPS, or when suffering slowdowns, they will run on 40FPS or less. If you want to change a value from A to B in 1.0 seconds you can’t simply increase A by B-A between two frames because frames can run fast or slow, so one frame can have different durations. The way to correct this is to measure the time taken from frame X to X+1 and increment A, leveraging this change with the frame duration deltaTime by doing A += (B-A) * DeltaTime. When the accumulated DeltaTime reaches 1.0 second, A will have assumed B value. Explain why vectors should be normalized when used to move an object. Normalization makes the vector unit length. It means, for instance, that if you want to move with speed 20.0, multiplying speed * vector will result in a precise 20.0 units per step. If the vector had a random length, the step would be different than 20.0 units. Finish this code so the GameObject containing this script moves with constant speed towards target, and stop moving once it reaches 1.0, or less, units of distance. Can two GameObjects, each with only an SphereCollider, both set as trigger and raise OnTrigger events? Explain your answer. Which of the following examples will run faster? 1000 GameObjects, each with a MonoBehaviour implementing the Update callback. One GameObject with one MonoBehaviour with an Array of 1000 classes, each implementing a custom Update() callback. The Update callback is called using a C# Reflection, which is significantly slower than calling a function directly. In our example, 1000 GameObjects each with a MonoBehaviour means 1000 Reflection calls per frame. Creating one MonoBehaviour with one Update, and using this single callback to Update a given number of elements, is a lot faster, due to the direct access to the method. Explain, in a few words, what roles the inspector, project and hierarchy panels in the Unity editor have. Which is responsible for referencing the content that will be included in the build process? The inspector panel allows users to modify numeric values (such as position, rotation and scale), drag and drop references of scene objects (like Prefabs, Materials and Game Objects), and others. Also it can show a custom-made UI, created by the user, by using Editor scripts. The project panel contains files from the file system of the assets folder in the project’s root folder. It shows all the available scripts, textures, materials and shaders available for use in the project. 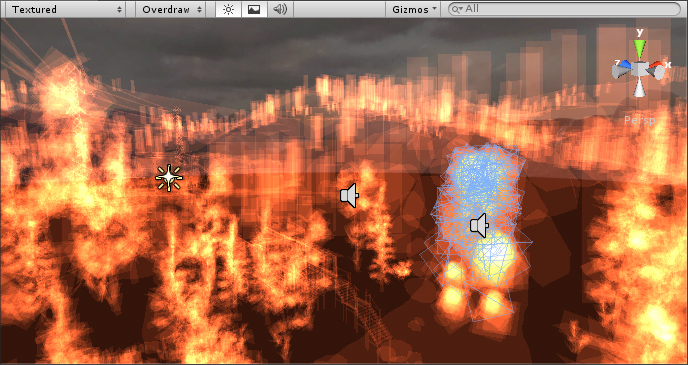 The hierarchy panel shows the current scene structure, with its GameObjects and its children. It also helps users organize them by name and order relative to the GameObject’s siblings. Order dependent features, such as UI, make use of this categorization. The panel responsible for referencing content in the build process is the hierarchy panel. The panel contains references to the objects that exist, or will exist, when the application is executed. When building the project, Unity searches for them in the project panel, and adds them to the bundle. Explain the issue with the code below and provide an alternative implementation that would correct the problem. The issue is that you can’t modify the position from a transform directly. This is because the position is actually a property (not a field). Therefore, when a getter is called, it invokes a method which returns a Vector3 copy which it places into the stack. So basically what you are doing in the code above is assigning a member of the struct a value that is in the stack and that is later removed. Looking for Unity or Unity3D experts? Check out Toptal’s Unity or Unity3D developers.